Upon our arrival to the Beverly Wilshire Hotel in Beverly Hills, this iconic 1920’s hotel oozed sophistication and glamour. With the infamous Rodeo Drive Shopping only steps away. Checking in we knew we were in for a treat. 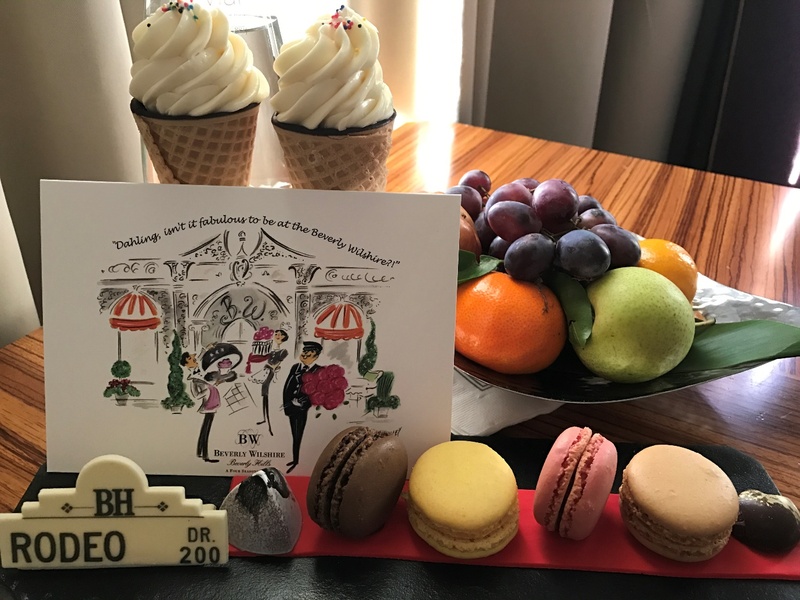 Arriving to our room we were greeted by a table full of decadent welcome treats and hand written cards wishing us a wonderful stay. The attention to detail was truly exceptional. With 395 luxurious guest rooms, which include 137 suites which are located in the two buildings. The 10 storey Wilshire Wing over looks Wilshire Boulevard and Rodeo Drive, and the other building, the 14 storey Beverly Wing overlooking the residential area of Beverly Hills. The two buildings are connected by a stunning porte-cochere, which features a majestic gate inspired by Buckingham Palace, with gas lamps from Edinburgh and a beautiful cobblestone driveway with stone that is imported from Italy, absolutely magnificent. We stayed in the Beverly Wing in a one bedroom Beverly Suite, which accommodated our family of four with ease. We had a stunning view overlooking Mediterranean inspired pool. 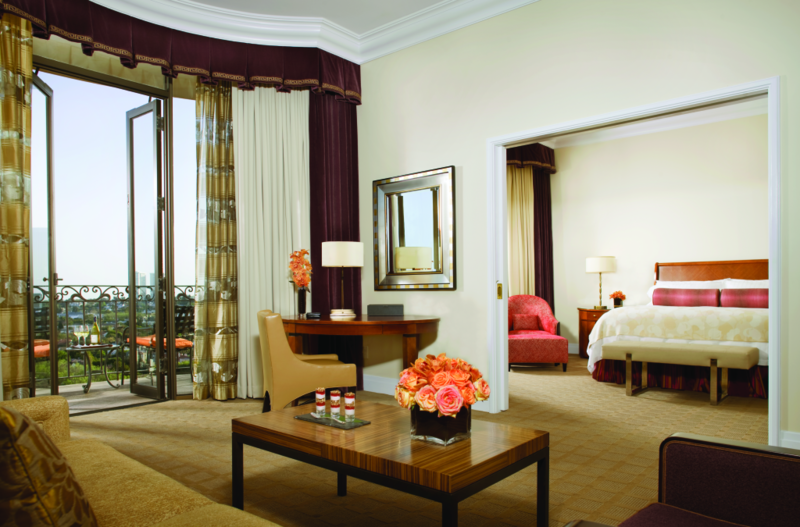 The Beverly Wilshire offers one, two and three bedroom suites should you require a little more luxurious space. 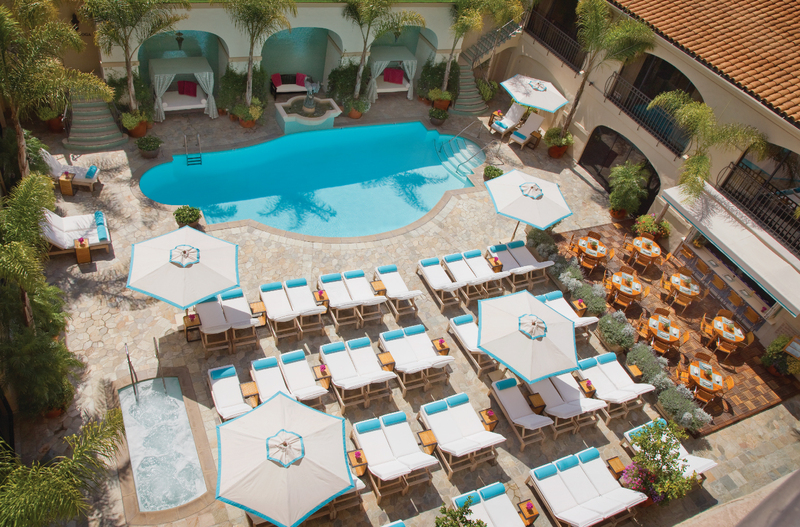 The Beverly Wilshires Mediterranean-styled pool is a perfect way to unwind after a day of exploring the city of Angels. There is a Pool Bar and Café as well as private cabana amenities. Overlooking the pool deck is the Bi-Level Fitness centre which offers a range cardio equipment and weight training machines. Yoga classes are also available, bookings are required. Be sure to provide the hotel with the ages of the children prior to your arrival to ensure that the appropriate amenities are organised and ready for your arrival. 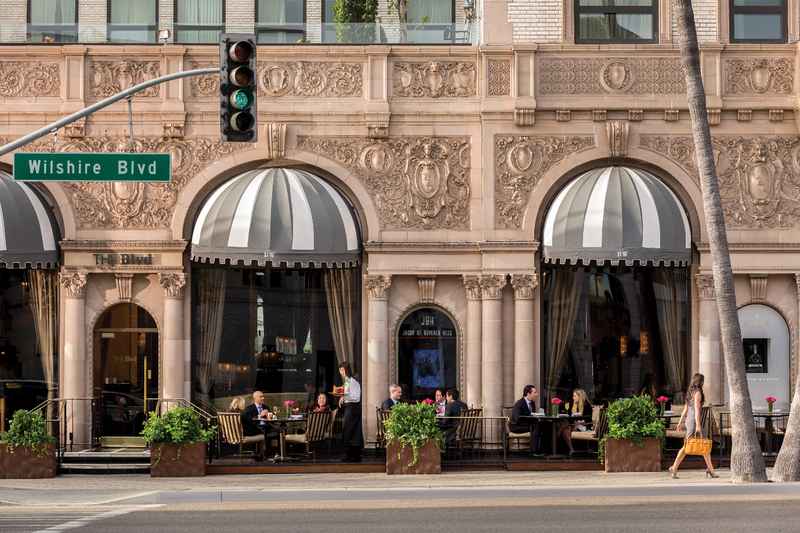 The Beverly Wilshire offers some of the finest dining experiences in Los Angeles. 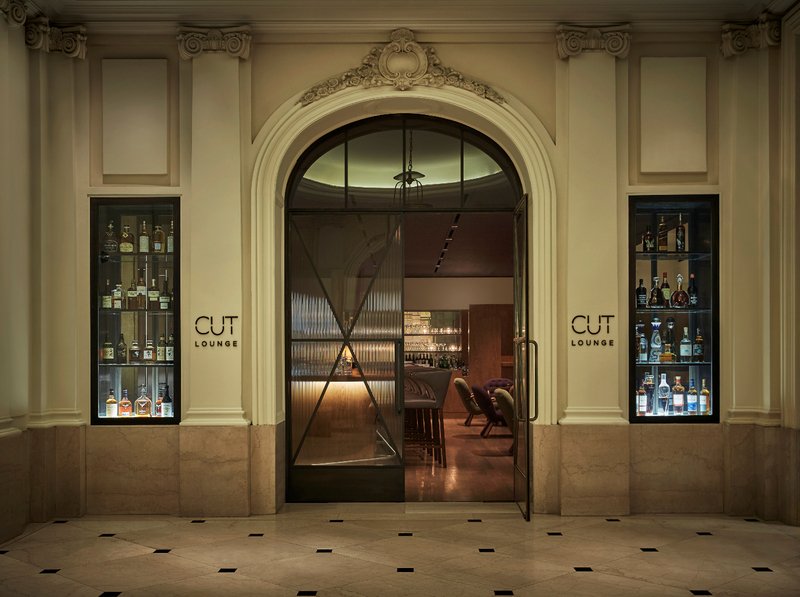 CUT restaurant, cuisine offerings of an array of creative steak and seafood and an extensive international wine list created by Wolfgang Puck. A wold class dining experience to be had here, enjoying exceptional world famous cuisine which is served in a modern and serene environment. The Blvd restaurant is a magnificent all day dining spot with large windows that overlooks the intersection of Wilshire Boulevard and Rodeo Drive. We thoroughly enjoyed breakfast here each morning. 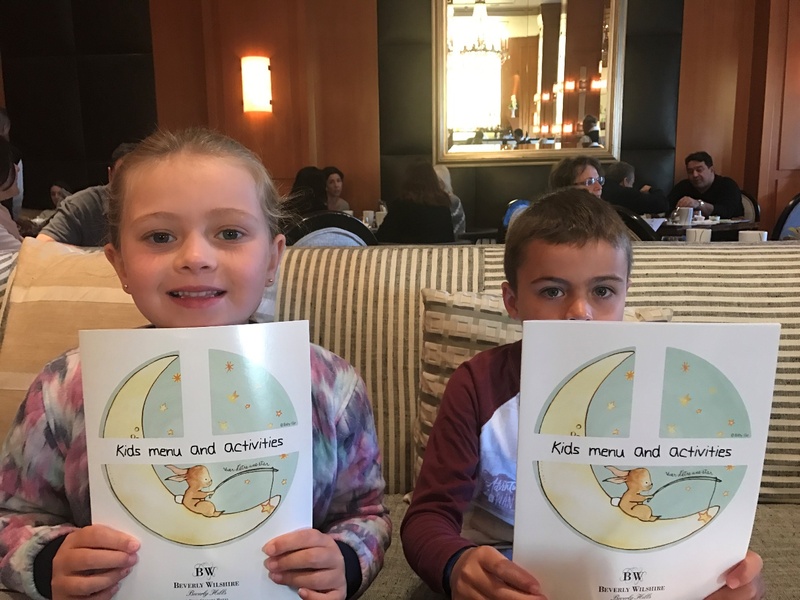 The kids are well taken care of with their very own menus offering a great array of food delights to choose from and plenty of activities to keep them entertained. In Room Dining service was also exceptional. 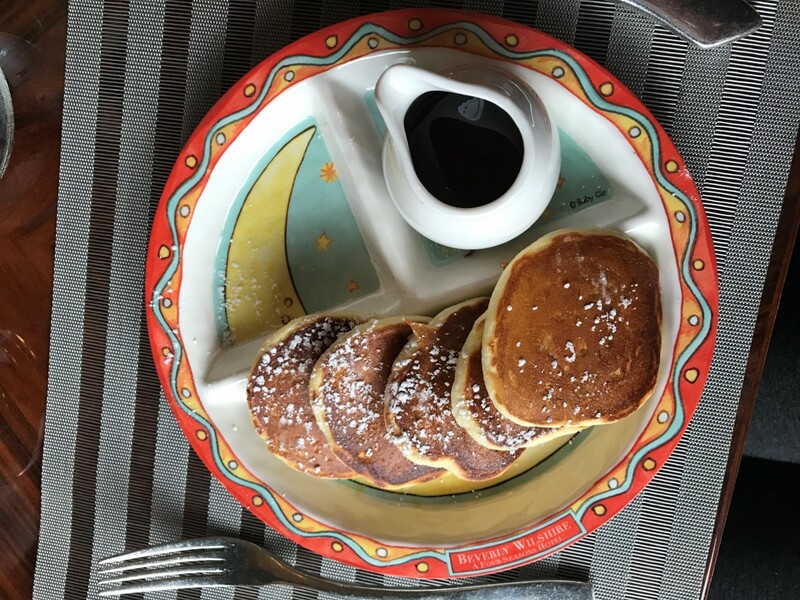 With an extensive choice on the menu, there is certain to be options to satisfy all tastebuds. In Room Dining made for a perfect dinner option after a full and long day out exploring the city. The food was exceptional and the meal was set up in such a way we felt like we were dining in our own private restaurant in the comfort of our PJs and snuggly robes. 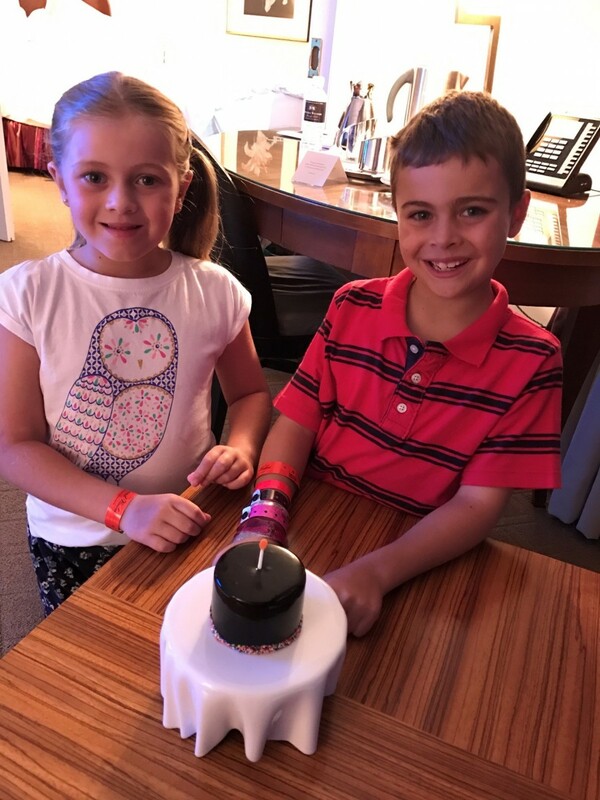 During our stay at the Beverly Wilshire, it was the week of my sons 9th Birthday. As we were due to leave my son was very surprised to receive a special birthday cake and warm wishes from the Beverly Wilshire Staff. This certainly was the icing on the cake ☺ to an already incredible stay at the Beverly Wilshire, Beverly Hills. Final Note – Looking for that sophistication and glamour and perhaps experiencing a Pretty Woman Moment. The Beverly Wilshire, A Four Seasons Hotel (Beverly Hills) certainly knows how to deliver. Our stay was truly exceptional and memorable. 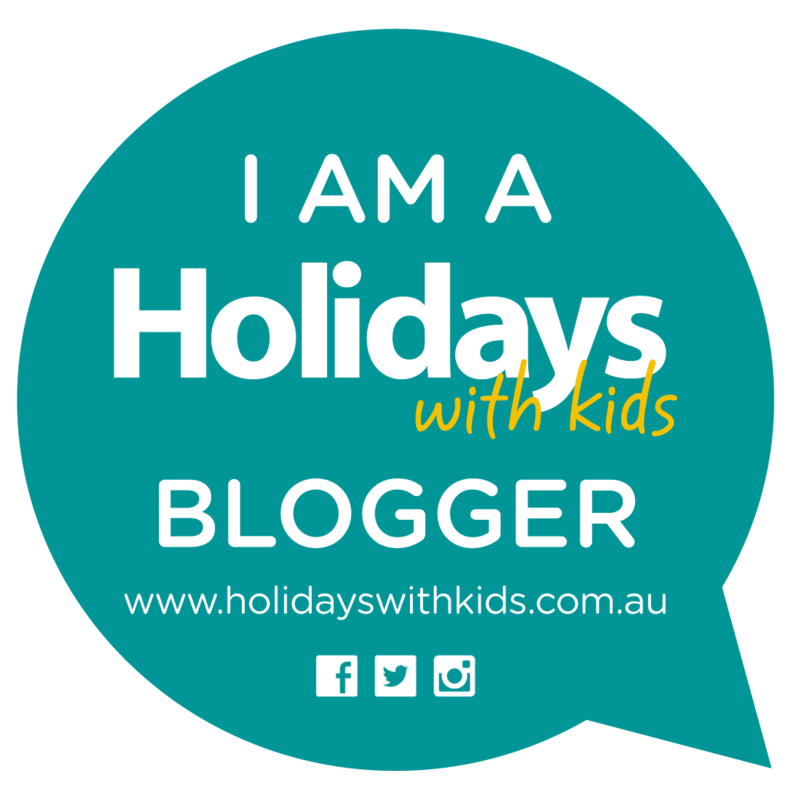 Travelling as a family, there are many needs and expectations to be met. 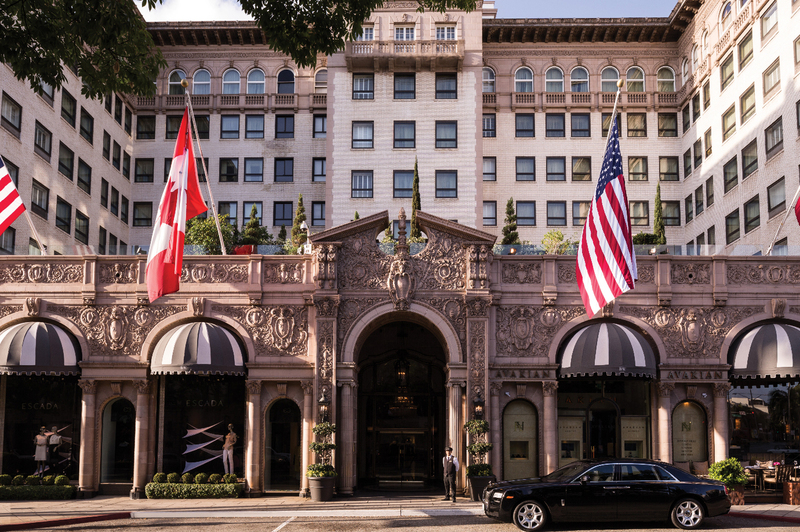 The Beverly Wilshire exceeded our expectations, making our stay truly special. The service and attention to detail during our stay was impeccable, totally surpassing our families expectations. 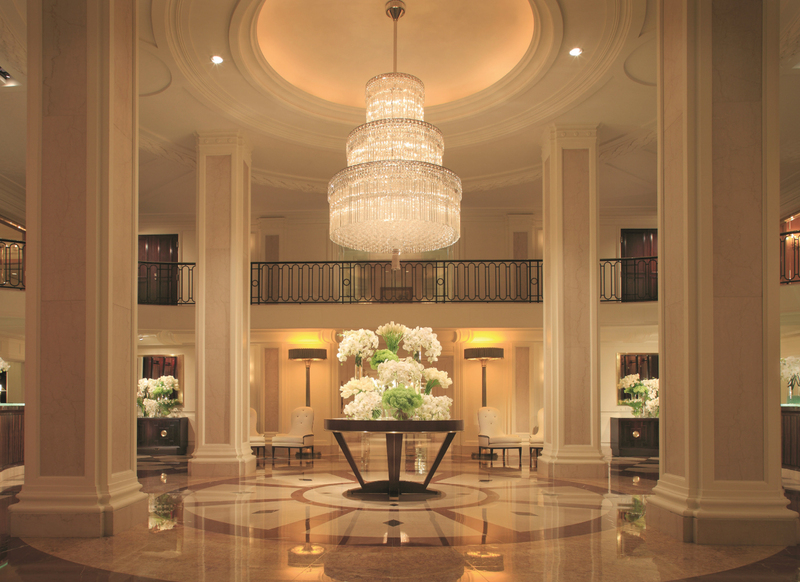 Without hesitation I would highly recommend visiting The Beverly Wilshire, we as a family look forward to our return. We were guests of the Beverly Wilshire, A Four Seasons Hotel, all opinions and experiences are that of my own.